Set oven control to broil. Spray 15x10x1-inch pan with Crisco® Original No-Stick Cooking Spray. 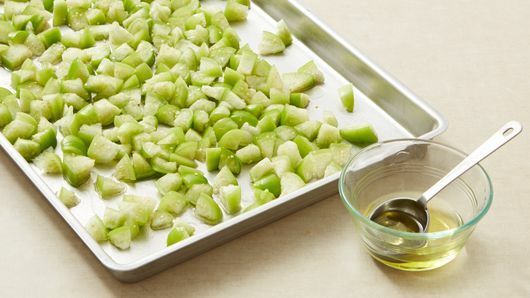 Place tomatillos in pan; toss with 2 tablespoons of the oil. Broil 3 to 4 inches from heat 9 to 12 minutes, turning once, or until tender and starting to brown. Heat oven to 400°F. Brush large cookie sheet with 1 tablespoon of the oil. Microwave frozen potatoes as directed on bag 3 to 4 minutes to thaw. 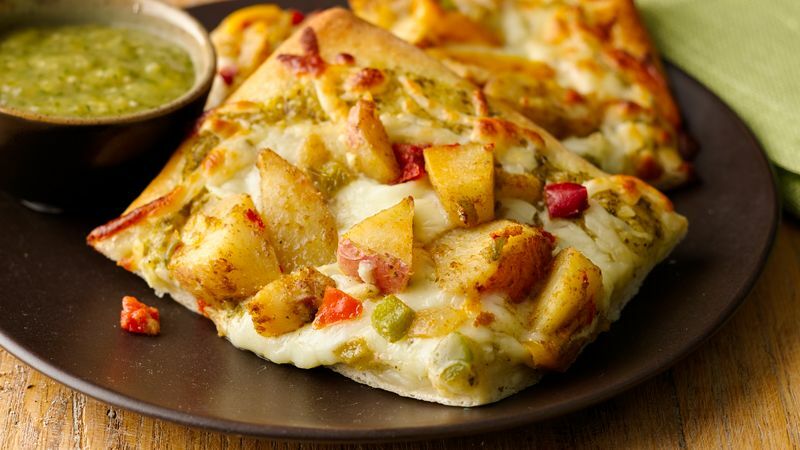 Cut larger pieces of potato into bite-size pieces. In medium bowl, mix potatoes and cumin. 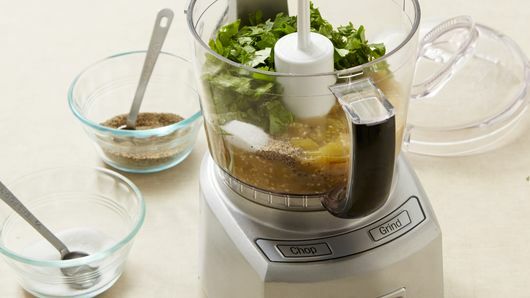 In food processor or blender, place tomatillos, cilantro, 1/2 teaspoon salt and 1/4 teaspoon pepper. Cover; process until smooth. Unroll dough on cookie sheet; press to form 12x8-inch rectangle. 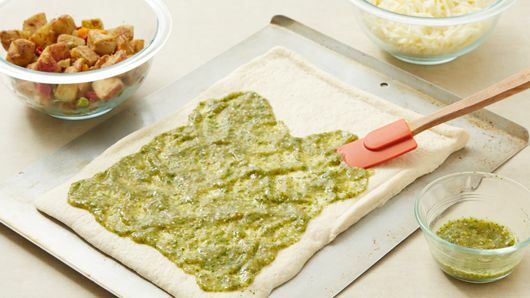 Spread 1/2 cup tomatillo salsa over rectangle; sprinkle with cheese. Top with potato mixture; drizzle with remaining 1 tablespoon oil. Bake 12 to 22 minutes or until cheese is melted and crust is golden brown. Serve with remaining tomatillo salsa.